In state 10:00 am until service begins. Mrs. Marjorie (Margie) Eilene Goodell, 67, of Livonia, MI passed away on Monday November 5, 2018. Visitation will be at Neely-Turowski Funeral Home in Livonia, MI on Wednesday November 7 from 2-8pm. Instate at 10am at Hope Lutheran Church in Farmington Hills on Thursday November 8, funeral services will be held immediately after at 10:30am. Margie was born November 6, 1951 in Grand Rapids, MI to the late Robert and Junadell Magill. Her dad struggled through a snow storm to welcome his daughter into the world, a true testament to the bond they would forever have as father and daughter. 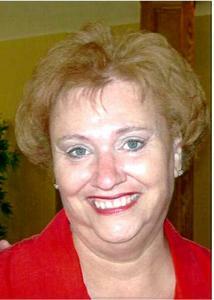 Margie was a former employee of Livonia Public Schools and Northwest/Delta airlines. She was also a frequent flyer at the Michigan Educational Credit Union. She is survived by her husband, David Goodell, three sons, Scott Goodell (Enza), Brian Goodell (Aubri), and James Goodell (Stefanie). Margie is also survived by her brother Robert Magill (Michelle), and her two beloved grandchildren, Lia and Ryan Goodell, as well as her many cousins, nieces, and nephews. Among Margie's favorite past times were playing PAN (one please, except for Margie) and listening to Christmas music year round. She was also passionate about the Detroit Tigers, football, golf, and any event that her grandchildren were a part of. She loved her family so much that she bought birthday and Christmas presents years in advance. All of these events are but a glimpse into Margie's life, but she will truly be missed by all.